Joe Dill represents District 17. Having been originally elected to office in November 1998; he is currently serving his sixth term as Councilman for the Northern portion of Greenville County. He believes that all constituents have a voice in his district and welcomes calls from you. His home phone is 895-2243 and his cell number is 380-6534. Councilor Dill currently serves as Chairman on the Planning and Development Committee. 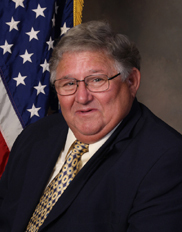 He is the Chairman of the Regional Advisory Committee and Chairman of The Appalachian Council of Governments. This body governs federal monies designated for use in the Appalachian Region of South Carolina; including senior services and other critical need dollars. He also serves on the Board of the SC Association of Counties and was President of the SC Association of Counties for 2011-2012. Councilor Dill is a dedicated and approachable public servant. Prior to his election to County Council he served twelve years on the Greenville County School Board, where during his tenure, he served as chairman. After becoming a Council Member, Mr. Dill has served as a member on the Greenville County Finance Committee, the Capital Project Sales Tax Committee, the Reedy River Steering Committee and the Greenville Parks and Recreation Committee. Since his election to office, Mr. Dill led the way in the acquisition and restoration of the Poinsett Bridge; served as Chair on the Greenville County Task Force which developed a plan for and replaced the downtown library and branch libraries. He is currently working with key members of the community to help preserve the Campbell Covered Bridge as well as the Hagood-House on Scenic Highway 11. He was instrumental in putting together a group of concerned citizens which brought about the development of the Swamp Rabbit railroad line into the Rails for Trails. Currently Mr. Dill serves as the Minister of Music at Blue Ridge Baptist Church. He has spent over 30 years leading music, twenty-two of which were in the capacity of Minister of Music for the North Greenville Baptist Association. Joe Dill is also a member of the Slater Lions Club and District Governor for SC Lions, District 32A for the year 2012-2013.